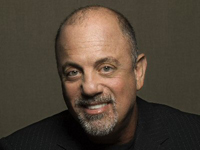 Although Billy Joel never was a critic’s favorite, the pianist emerged as one of the most popular singer/songwriters of the latter half of the ’70s. Joel’s music consistently demonstrates an affection for Beatlesque hooks and a flair for Tin Pan Alley and Broadway melodies. His fusion of two distinct eras made him a superstar in the late ’70s and ’80s, as he racked an impressive string of multi-platinum albums and hit singles. While still a member of the Echoes, Joel began playing recording sessions in 1965, when he was just 16 years old. Joel played piano on several recordings George “Shadow” Morton produced — including the Shangri-Las’ “Leader of the Pack” — as well as several records released through Kama Sutra Productions. During this time, the Echoes started to play numerous late-night shows. Later in 1965, the Echoes changed their name twice — once to the Emeralds and finally to the Lost Souls. For two years, he played sessions and performed with the Lost Souls. In 1967, he left the band to join the Hassles, a local Long Island rock & roll band that had signed a contract with United Artists Records. Over the next year and a half, the Hassles released two albums and four singles, all of which failed commercially. In 1969, the Hassles broke up. Joel and the band’s drummer, Jon Small, formed an organ and drums duo called Attila. In Attila, Joel played his organ through a variety of effects pedals, creating a heavy psychedelic hard rock album completely without guitars. On the cover of the band’s eponymous album, both Joel and Small were dressed as barbarians; in an interview on the back of the album, Joel claimed to forget the name of his previous band and stated that he only “sweated” two things — perfecting his sound and the war in Southeast Asia. Epic released Attila early in 1970 and it was an immediate bomb and the duo broke up. While the group was still together, Joel began a romance with Small’s wife, Elizabeth; she would eventually leave the drummer to marry the pianist. After Attila’s embarrassing failure, Joel wrote rock criticism for a magazine called Changes and played on commercial jingles, including a Chubby Checker spot for Bachman Pretzels. However, Joel entered a severe bout of depression, culminating with him drinking a bottle of furniture polish in an attempt to end his life. Following his failed suicide attempt, Joel checked himself into Meadowbrook Hospital, where he received psychiatric treatment for depression. Joel returned to playing music in 1971, signing a deal with Family Productions. Under the terms of the contract, Joel signed to the label, for life; the pianist was unaware of the clause at the time, but it would come back to haunt him — Family Productions received royalties from every album Joel sold until the late ’80s. Joel refashioned himself as a sensitive singer/songwriter for his debut album, Cold Spring Harbor, which was released in November of 1971. Due to an error in the mastering of the album, Cold Spring Harbor was released a couple of tape speeds too fast; the album remained in that bastardized form until 1984. Following the release of the album, Joel went on a small live tour, during which he would frequently delve into standup comedy. The tour received good reviews but Joel remained unhappy with the quality of his performance and, especially, the quality of the album. Furthermore, he lost a manager during this time and Family Productions were experiencing legal and financial difficulties, which prevented him from recording an immediate follow-up. Early in 1972, he moved out to Los Angeles with his girlfriend Elizabeth. Joel adopted the name Bill Martin and spent half a year playing lounge piano at the Executive Room. Toward the end of the year, he began touring, playing various nightclubs across the country. At the beginning of 1973, Joel married Elizabeth Weber and she enrolled at UCLA’s Graduate School of Management. Around the same time, a radio station began playing a live version of “Captain Jack” that was recorded at a Philadelphia radio broadcast. Soon, record companies were eagerly seeking to sign the pianist, and he eventually signed with Columbia Records. In order for Joel to sign with Columbia, the major label had to agree to pay Family Productions 25 cents for each album sold, plus display the Family and Remus logos on each record Joel released. By the end of 1973, Billy Joel’s first album for Columbia Records, Piano Man, had been released. The record slowly worked its way up the charts, peaking at number 27 in the spring of 1974. The title track — culled from experiences he had while singing at the Executive Room — became a Top 40 hit single. At the end of the summer, Joel assembled a touring band and undertook a national tour, opening for acts like the J. Geils Band and the Doobie Brothers. By the end of 1974, he had released his second album, Streetlife Serenade, which reached number 35 early in 1975. After its success, Joel signed a contract with James William Guercio and Larry Fitzgerald’s management company, Caribou, and moved from California to New York. Through songs like “Say Goodbye to Hollywood” and “New York State of Mind,” Joel celebrated the move his 1976 album Turnstiles. The sessions for Turnstiles were long and filled with tension, culminating with Joel firing the album’s original producer, Guercio, and producing the album himself. Once he fired Guercio, Joel also left Caribou, and hired his wife as his new manager. Turnstiles stalled on the charts, only reaching number 122. Joel’s next album would prove to be the make-or-break point for his career, and the resulting album, The Stranger, catapulted him into superstardom. The Stranger was released in the fall of 1977. By the end of the year, it peaked at number two and had gone platinum, and within the course of a year, it would spawn the Top 40 singles “Just the Way You Are” — which would win the 1978 Grammy for Record of the Year and Song of the Year — “Movin’ Out (Anthony’s Song),” “She’s Always a Woman,” and “Only the Good Die Young.” Over the next two decades, the album would sell over seven million copies. Joel followed The Stranger with 52nd Street, which was released in the fall of 1978. 52nd Street spent eight weeks at number one in the U.S., selling over two millions copies within the first month of its release. The album spawned the hit singles “My Life,” “Big Shot,” and “Honesty,” and won the 1979 Grammy award for Album of the Year. Although he had become a genuine star, critics had not looked kindly to Joel’s music, and the pianist became a vocal opponent of rock criticism in the late ’70s. In one incident he denounced Los Angeles Herald Examiner critic Ken Tucker on-stage and then, as a form of protest, tore up the critic’s reviews. In the spring of 1980, Joel released Glass Houses, theoretically a harder-edged album that was a response to the punk and new wave movement. Glass Houses reached number one in America, where it stayed for six weeks; the album spawned the Top 40 singles “You May Be Right” (number seven), “It’s Still Rock’n'Roll to Me” (number one), “Don’t Ask Me Why” (number 19), and “Sometimes a Fantasy” (number 36) and won the 1980 Grammy for Best Rock Vocal Performance, Male. In the fall of 1981, Joel released Songs in the Attic, a live album that concentrated on material written and recorded before he became a star in 1977. The album’s “Say Goodbye to Hollywood” and “She’s Got a Way” became Top 40 hits. Songs in the Attic bought Joel some time as he was completing an album he had designed as his bid to be taken seriously as a composer. Before the album was finished, he suffered a serious motorcycle accident in the spring of 1982. He broke his wrist in the accident — it would take major surgery to repair the wound. In July of 1982, Joel divorced his wife, Elizabeth. His new album, The Nylon Curtain, was finally released in the fall. A concept album about baby boomers and their experiences, the album was a commercial disappointment, only selling a million copies, but it did earn him some of his better reviews, as well as spawning the Top 20 hits “Pressure” and “Allentown.” Joel quickly followed the album in 1983 with the oldies pastiche An Innocent Man. An Innocent Man restored Joel to his multi-platinum status, eventually selling over seven million copies and spawning the hit singles “Uptown Girl” (number three), “Tell Her About It” (number one), “An Innocent Man” (number ten), and “Keeping the Faith” (number 18). Several of the songs on the album were about model Christie Brinkley, who was engaged to Joel by the time the album was released. During 1983 and 1984, Joel became one of the first ’70s stars to embrace MTV and music videos, shooting a number of clips for the album that were aired frequently on the network. Brinkley and Joel were married in the spring of 1985. Joel released a double-album compilation, Greatest Hits, Vols. 1 & 2 in the summer of 1985. Two new songs — the Top Ten “You’re Only Human (Second Wind)” and the Top 40 “The Night Is Still Young” — were added to the hits collection; the album itself peaked at number six and would eventually sell over ten million copies. In the summer of 1986, Joel returned with the Top Ten single “Modern Woman,” which was taken from the soundtrack of Ruthless People. “Modern Woman” was also a teaser from his new album, The Bridge, which was released in August. The Bridge was another success for Joel, peaking at number seven, selling over two million copies, and spawning the Top 40 hits “A Matter of Trust” (number ten) and “This Is the Time” (number 18), as well as “Big Man on Mulberry Street,” which was used as the basis for an episode of the popular Bruce Willis/Cybill Shepherd television series Moonlighting. Joel fired his longtime manager and former brother-in-law Frank Weber in August of 1989, after an audit revealed that there were major discrepancies in Weber’s accounting. Following Weber’s dismissal, Joel sued Weber for 90 million dollars, claiming fraud and breach of fiduciary duty. Immediately after filing suit, Joel was hospitalized with kidney stones. All of this turmoil didn’t prevent the release of his 12th studio album, Storm Front, in the fall of 1989. It was preceded by the single “We Didn’t Start the Fire,” whose lyrics were just a string of historical facts. The single became a huge hit, reaching number one and inspiring history students across America. Storm Front marked a significant change for Joel — he fired his band, keeping only Liberty DeVito, and ceased his relationship with producer Phil Ramone, hiring Mick Jones of Foreigner to produce the album. Storm Front was another hit for Joel, reaching number one in the U.S. and selling over three million albums. Following the Storm Front world tour, Joel spent the next few years quietly. In 1991, he was awarded an honorary doctorate by Fairfield University in Connecticut. In the summer of 1992, Joel filed a 90 million dollar lawsuit charging his former lawyer Allen Grubman of fraud, breach of contract, and malpractice; in October of 1993, the two parties settled their differences out of court. Joel returned in the summer of 1993 with River of Dreams, which entered the charts at number one and spawned the Top Ten title track. Following the River of Dreams tour, Joel divorced Christie Brinkley. In 1996, he gave a series of lectures at a variety of American colleges. He performed at the 1999 New Year’s Eve Party in Times Square, and 2000 Years: The Millennium Concert, a live album of this concert, was released early the following year.